Veterans of the Ministry of Internal Affairs urge protesters to act civilized. During a press conference, former employees of the Ministry requested supporters of Andrei Năstase to cease being violent and stop cursing police officers, who are simply doing their job. At the same time, the veterans addressed to their former colleagues, who participated in the rally, requesting them to set an example for others. "Protest peacefully, be civilized and respectful toward law enforcement, who ensure public order and security. 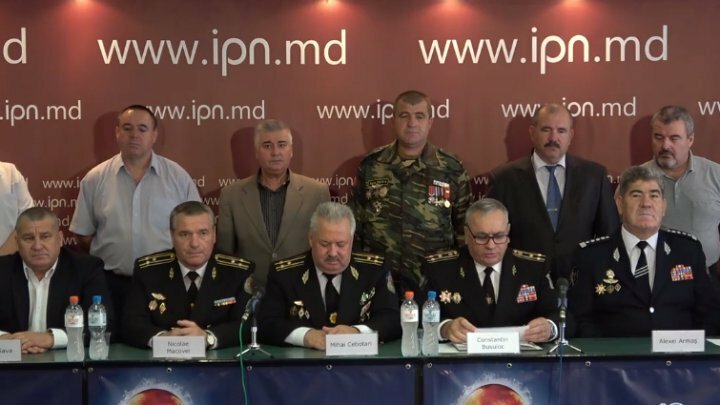 Do not breach the law" Vice-President of the Association of Veterans and Pensioners of the Ministry of Internal Affairs, Constantin Busuioc said. Members of the Association of Veterans and Pensioners of the Ministry of Internal Affairs also had a message for journalist Nicolae Josan, who is a supporter of Andrei Năstase. "Those who allow themselves to always curse law enforcement, to rip from their hands their batons. We, veterans, request them to meet us" Constantin Busuioc said. After the mayoral elections from Chisinau were not validated, supporters of Andrei Năstase organized multiple protests. Yesterday, protesters caused a scandal in front of the City Hall, having attempted to break into the building and attacking police officers.